We looked at the top 1 Windshield Wipers and dug through the reviews from 3 of the most popular review sites including Review Lab, BestReviews, Wiper Advisor and more. Through this analysis, we've determined the best Windshield Wiper you should buy. In our analysis of 30 expert reviews, the Michelin Michelin Stealth Hybrid Windshield Wiper Blade placed 8th when we looked at the top 9 products in the category. For the full ranking, see below. Checkout The Best Windshield Wiper for a detailed review of all the top windshield wipers. Paired with the wiper’s independent suspension, Michelin’s unique Smart Flex technology helps the Stealth Hybrid form a custom fit to your windshield’s contour for smooth and streak-free cleaning. Patented Smart Flex technology conforms to windshield curve. It operates very quietly, whether it may be wiping off snow, clearing off water, gliding across ice or even just moving across a dry window for any reason at all. Performance depends on the car; blade-to-wiper contact is poor on some vehicles. You probably don’t spend much time thinking about your windshield wipers until they need to be replaced one day. As long as they’re operating efficiently and relatively quietly, there’s no need to focus on them. But over time, any set of windshield wipers will begin to wear down, which means it’s time to replace them. You don’t have to pay a fortune for a mechanic to take care of it. In fact, most windshield wipers can be easily switched out by even the most novice auto-repair person. When buying windshield wipers, it’s important to make compatibility a top priority. However, if you walk into an auto parts store and name your vehicle model, chances are you’ll still have a wide range of options. Manufacturers know they can make more money by designing wipers that will work with as many common vehicle types as possible. But you’ll still find that some wiper arms simply aren’t compatible with all blades. Anyone who has ever owned a car knows how annoying streaks can be. Grime is usually the culprit in that area, but some wiper blades are more resistant to streaks than others. Don’t make the mistake of assuming that the more you spend, the more likely you’ll be to get a streak-free experience. In fact, some budget wipers do just as well as high-priced wipers in this area. In addition to compatibility with your own vehicle, it’s important to consider weather where you live. If you live in an area prone to wintry precipitation, keep that in mind while you’re shopping. Some wipers can handle ice and snow better than others. But even if you live in a warm climate, you’ll need a good pair of wiper blades if you get an overabundance of rain each year. Look for durability unless you want to change your wipers multiple times each year. The idea for windshield wipers came from a southern woman visiting New York on an icy winter day. Mary Anderson was riding a streetcar when she noticed that the driver had to occasionally stop to wipe sleet and snow off the windshield. Arriving home, she began working on a device to keep windshields clear. In 1903, she filed for a patent for her invention. Unfortunately, they didn’t become standard on motorized vehicles until the 1940s, at which point Anderson’s patent had expired. Before you start shopping for windshield wiper blades, you need to consult your vehicle’s manual to find out exactly the type you need. Most windshield wipers come in different sizes, so research what you need so that you can choose the right option during checkout. The Valeo Wiper Blade, for instance, comes in sizes from 15 inches to 29 inches, while the PIAA Super Silicone Wiper Blade offers blade sizes from 12 inches to 26 inches. In addition to size, you’ll also need to take a quick look at design. The Bosch ICON Wiper Blade’s arm hook adapters aren’t compatible with all types of vehicles. Bosch has a compatibility checker on its website. If it is compatible with your vehicle, you may want to look into the Bosch ICON Wiper Blade, which has won awards for its bracketless beam design. This feature eliminates the brackets and hinges typically seen with wiper blades, bringing a performance you won’t get with competitors. The PIAA Super Silicone Wiper Blade use silicone-treated blades to provide efficient, smooth and, most importantly, quiet wiping. Thanks to the unique design, you also won’t see streaks. 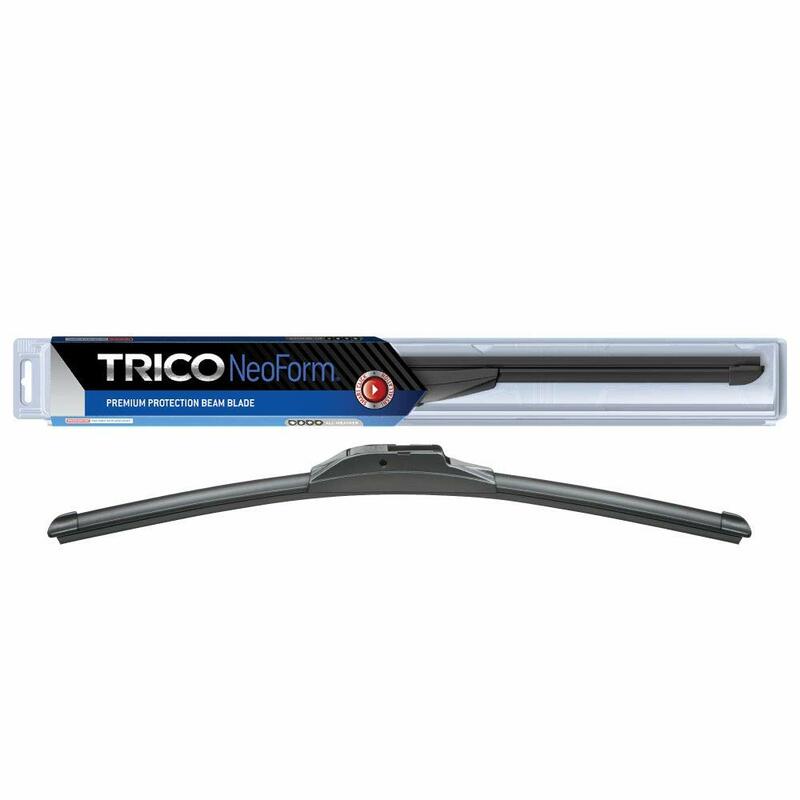 With the aerodynamic design of the Valeo Wiper Blade, you get a reduction of all that debris that can collect around the wiper blade, which also makes each wipe more efficient. Not every wiper is designed to stand up to wintry weather. The Bosch ICON Wiper Blade’s unique design helps it comfortably tackle frozen precipitation. By eliminating the brackets and hinges, you also reduce the number of things that are most likely to snap under the heavy weight of ice and snow. 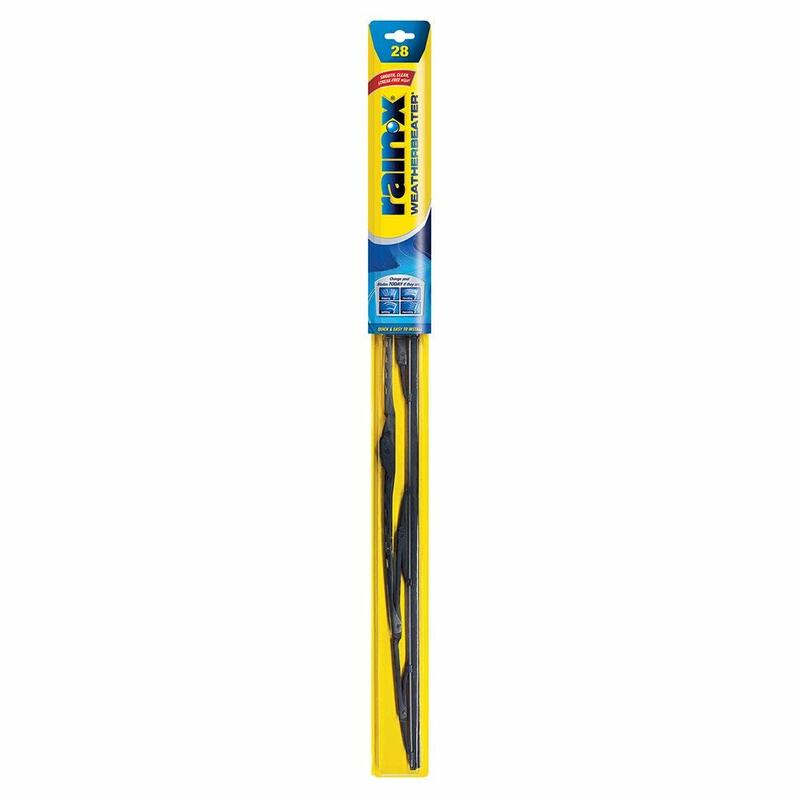 The PIAA Super Silicone Wiper Blade, on the other hand, won’t work as well when the weather turns brutal. The Valeo Wiper Blade can stand up to heavy rain and winter weather, but you may find they won’t be quite as smooth in those conditions, especially after they have some wear on them. Noisy wipers can be extremely annoying, especially on long, rainy drives. The Bosch ICON Wiper Blade features silent operation throughout its lifetime. If you deal with winter weather, you may find that the PIAA Super Silicone Wiper Blade is distractingly noisy when your windshield is sprinkled with ice or snow. Wipers can get plenty of wear over the course of a year. You’ll find that some last longer than others. The Bosch ICON Wiper Blade impresses with its durability, often lasting for a year or longer, depending on frequency of use. Even with hundreds of hours of ozone exposure, these wipers have resisted cracking — a feature of its ClearMax 365 rubber blades. The PIAA Super Silicone Wiper Blade and Rain-X Weatherbeater Wiper Blade also bring extra-long life expectancy. If you’ve ever installed wiper blades, you probably know some can be easier to maneuver than others. The Rain-X Weatherbeater Wiper Blade comes equipped with adapters designed to make the blades as easy as possible to install. 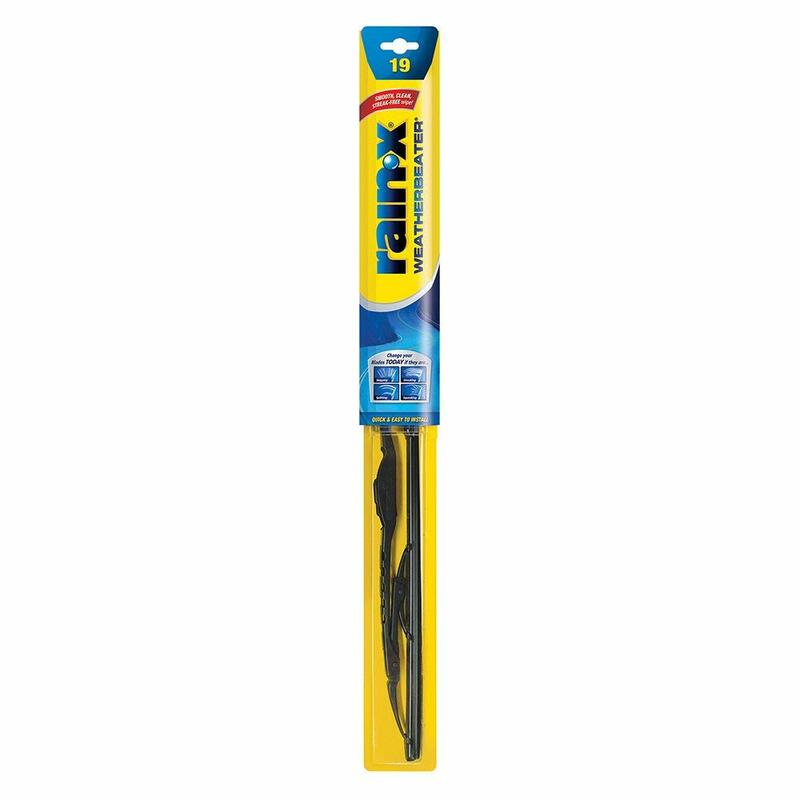 The PIAA Super Silicone Wiper Blade is also fairly easy to install. The Bosch ICON Wiper Blade’s design makes installation more difficult than other wipers, and the Valeo Wiper Blade’s sharp edges can actually cause injury if you aren’t careful. However, some auto parts shops will replace your wiper blades for free as long as you purchase them there. If you want wipers that are usually difficult to install, this may be an alternative to doing it yourself. Although some wipers are more expensive than others, you’ll find many fall within the same price range. The Bosch ICON Wiper Blade and PIAA Super Silicone Wiper Blade retail in the $20-$30 range, with the Valeo Wiper Blade being slightly less expensive. The most affordable is the Rain-X Weatherbeater Wiper Blade, which you can find for less than $15.